Studies show that tall people enjoy more happiness and success in life! These exercises can help your kids gain those important extra inches. All parents want to give their children the best chance of success in life. At some point, the question of height might enter your mind: how do you help your kids grow taller? Research is proving height to be surprisingly important for your children’s future. Studies have shown that each extra inch of height corresponds to an additional USD800 in annual earnings. Taller people are more likely to have higher education and job status. This even affects happiness — those above average height report being more content than their shorter counterparts! Strange though it sounds, this seemingly arbitrary factor can change a lot in your kids’ lives. Fortunately, it’s not entirely out of your hands. According to Scientific American, only around 60-80% of one’s height is determined by genes. The other 20-40% can be influenced by environmental factors, such as nutrition and exercise. And good news: in Asian populations, the effect of ‘nurture’ on height leans much closer toward 40%. To give your kids that crucial inch or two extra, here are some types of height-boosting exercises that they can work on! These are suitable for kids of all ages, particularly before they hit puberty — by 16, most boys reach their maximum height, while girls do so around 14 to 15. These exercises won’t help your children’s height shoot up noticeably, but they might add that magic inch or two. At the very least, you can bet that your kids will gain great posture and a stronger body. Stretching exercises boost the spine’s suppleness, ensuring that all the vertebrae are aligned correctly. These easy and kid-friendly exercises by Grow Taller Success Key elongate the cartilage in the spine, regenerating flexibility! 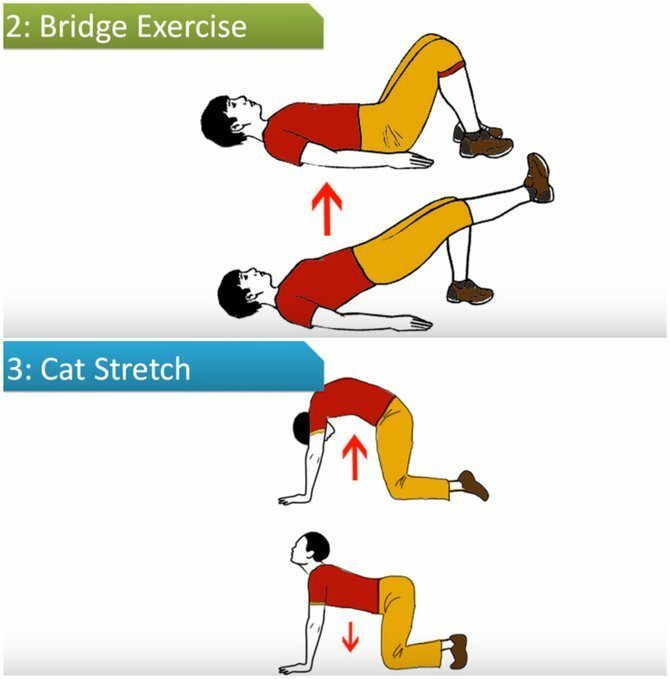 Click here to find the full instructions for the exercises. With heavy schoolbags and long hours on the computer, kids might not always develop the best posture. Standing tall helps lengthen your children’s spines to their full potential. These fun exercises put together by Coolum Family Chiropractic will help your kids work towards a strong, healthy back. Not only does great posture elongate the spine, it makes your kids look more confident, creating the illusion of height. This will stand them in good stead for everything from school presentations to job interviews. Just like the back, a long, strong neck can provide that extra inch of height and poise. These simple neck exercises, according to holistic health guru Mickey Mehta, can remove tension in the neck and stimulate the thyroid, promoting growth. The force of gravity exerts pressure on our spines, compressing the discs and making us just that tiny bit shorter. This is also why astronauts can grow up to 3% taller while living in space! According to health guru Mickey Mehta, vertical hanging lets the weight of your lower torso stretch your spine and decompresses the vertebrae. Over long periods of time, this makes it possible to increase your kids’ height by one or two inches. Every inch helps! Click here to find the full instructions for the exercise. Disclaimer: Parents are advised to check with a medical professional before undertaking any exercise regime for your children.